GARY CROSBY – bassist and the driving force behind Tomorrow’s Warriors and Dune records – continues to celebrate the big Six-O with a session at Jez Nelson’s Jazz In The Round next Monday. Together with new generation players Moses Boyd (drums), Nathaniel Facey (sax) and Shirley Tetteh (guitar) he introduces us to his latest small band – Groundation – a gathering, a coming together, synonymous with the Rastafari. I’m vibin’ on that and wish The Man may more earth-days to come. Joining Groundation at the Cockpit will be my good friend and eminent flautist Rowland Sutherland who promises to drop some ethereal solo flute inspired by a recent visit to Japan and his encounters with the shakuhachi masters. Add to the mix the Sam Eagles Quartet, who apparently combine post pop sensibilities with Noir-ish atmospherics, and you have yet another eclectic night at Jazz In The Round. 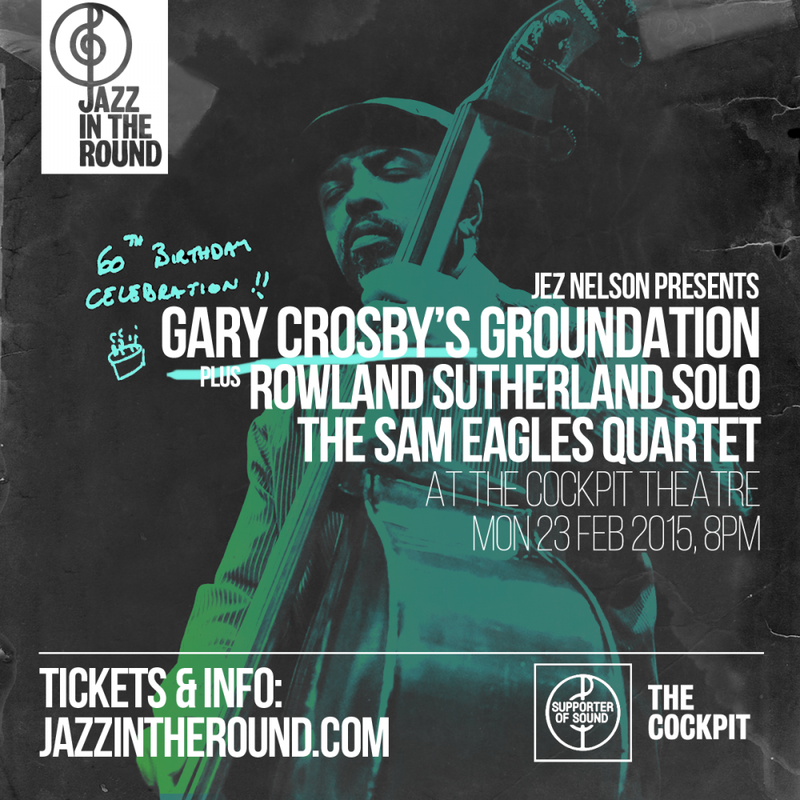 This entry was posted in Is That Jazz?, Just Runnings and tagged Cockpit Theatre, Gary Crosby, Groundation, Jazz In The Round, Jez Nelson, Moses Boyd, Nat Facey, Rowland Sutherlanf, Shakuhachi, Somethin' Else, Tomorrows Warriors. Bookmark the permalink.